When you invest your hard earned money and life into a new home, you want to make sure where you build is backed and planned by visionaries with a proven track record. 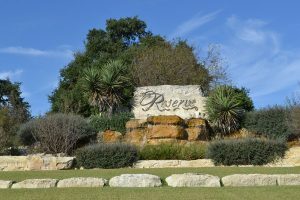 You don’t have to look further than a few miles south of Hidden Springs at two other highly successful developments completed by Crenwelge LLC. The Reserve at Falling Water and Falling Water are developments similar in scope and location to Hidden Springs—they speak for themselves. Dale Crewelge is an entrepreneur and multi-project developer who works and lives in the Hill Country. The Crenwelge family legacy includes being one of the original German families who settled Fredericksburg. Dale and his wife, Abbie have been married for 27 years. They have two daughters, Cameron and Peyton. Abbie owns Turkey Ridge Trading Company — the must-see Furniture and Design destination in historic Comfort. 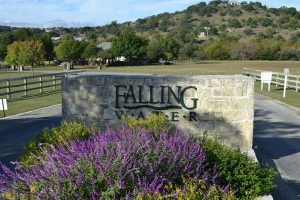 In addition to the numerous residential communities throughout the Hill Country, Dale is also involved with residential properties in Florida, Georgia and South Carolina and commercial property development in Austin and the Dallas/Fort Worth area. Dale is currently owner and operator of several Texas ranches. For the past 25 years Crenwelge’s agriculture production has consisted of raising cattle, sheep and wildlife. Dale earned his B.S. in Civil (Structural) Engineering and a Master of Business Administration from Texas A&M University. Presently serving as a trustee for The Centurions of Kendall County located in Boerne, Texas. The Centurions serve in benevolent, charitable and educational capacities.